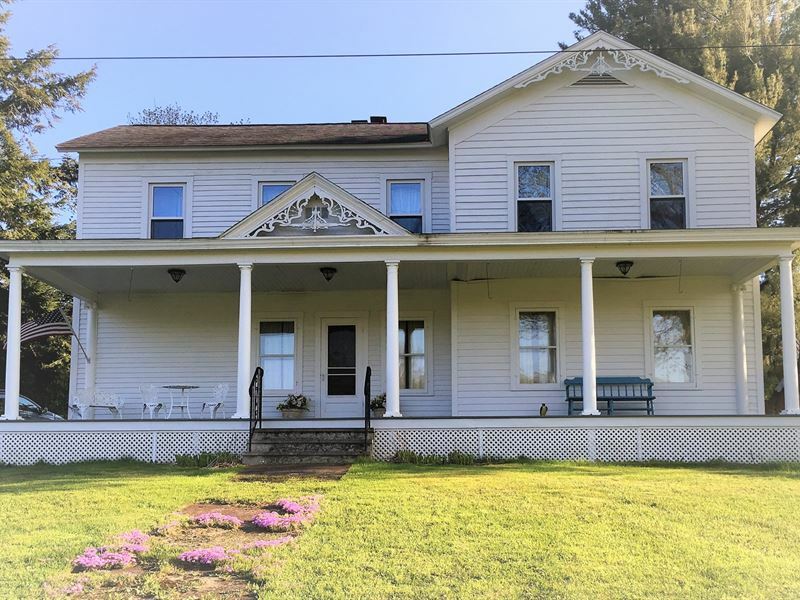 Only 3.5 miles from hwy 81, sitting on 178+ acres, on the North Branch of the Little Salmon River, this property features a 2 story Old Style home with 4 beds, 3 full baths, spacious living and kitchen, 2 fireplaces, a full basement with windows and high ceilings, historic detached carriage house, 2-story barn, chicken house, & 1 car detached garage. The land has a lot to offer with woods, pastures, wetlands, natural springs, stone fences from the 1,800'S and a regularly tapped maple grove. Offering 5,000 feet of water frontage and private access to the North branch of the river as well as 1,000 feet of Porter Creek, lots of space for horses or livestock, some great scenic views. This property has been maintained & cared for by the same family for over 150 years.